For the past couple of weeks, the Top 10 of the Global Poker Index (GPI) standings has undergone almost no sign of move. 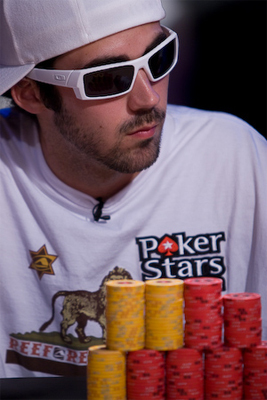 Currently, Jason Mercier is ranked the world No.1 player for fifth consecutive week. Interestingly, the US poker pro has just added another win to his career résumé, a victory at the Seminole Hard Rock Poker Open (SHRPO)_ High Roller event held in Florida. That feat would be taken into consideration in the next GPI rankings. Though he did not cash a substantial sum, the figure is modest enough for Mercier to maintain the lead. As for Anthony Zinno, the current leader in the GPI Player of The Year race, he has jumped over 2 spots to rank 2nd position with 4,021.32 points. This week, the GPI Top 300 welcomed two new faces. It is about Nick Pupillo and David Nowling. Five other skilled players also made an impressive move up into the rankings: David Nowling, Ryan Fee, Louis Salter, Ryan Riess and Jeff Gross. Dropping far deep this week are Rumen Nanev, Stuart Rutter, Marc-Etienne McLauhlin, Miroslav Alilovic and Dan Colman. Recall that Colman has just got his asses kicked out of the GPI Top 100. However, he could soon make a comeback with his freshly-claimed 3rd place finish in the SHRPO_$ 5,250 buy-in No-Limit Hold'em Championship. This week, there is panel of major poker tournaments still ongoing. Include the likes of the European Poker Tour Barcelona, which is held in conjunction with the Estrella Poker Tour Main Event at the Casino Barcelona (Spain), and the Seminole Hard Poker Open. This page has been viewed 1144 times.